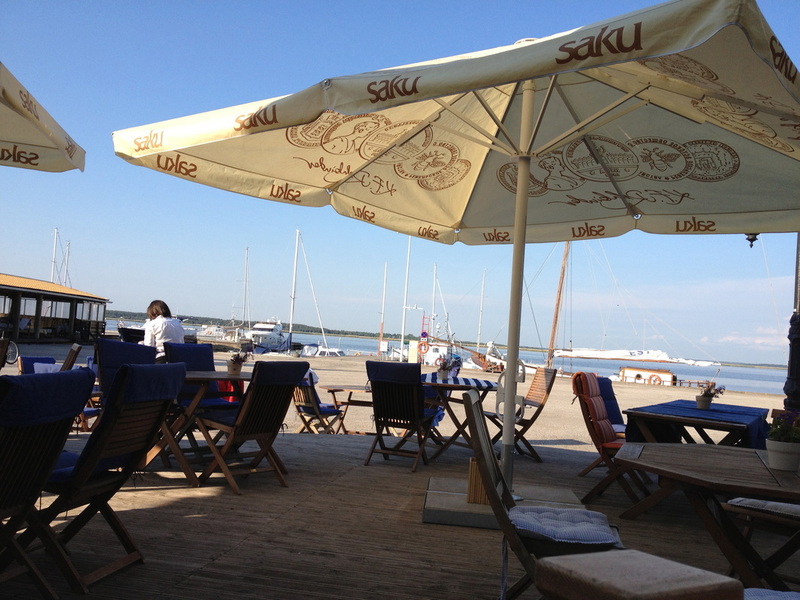 We left Tallinn and headed for Saaremaa Island in the west but decided to stay at Haapsalu for a night or two. 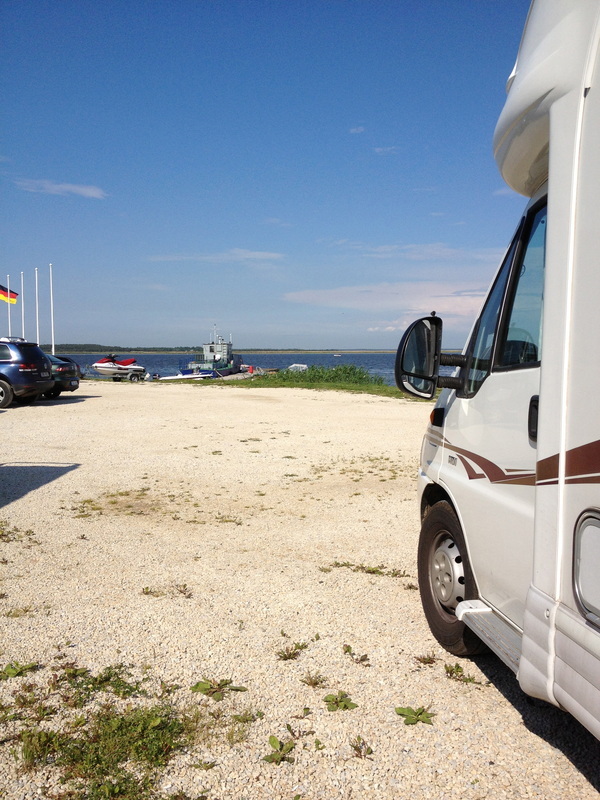 We stayed at Camping Pikseke, which is to be found on the Camping Map Baltic States which we had picked up when we first got to Lithuania. It is a family run site with pitches on grass, there is water, chemical disposal point showers and washing machines and some wifi although the signal is not site wide. 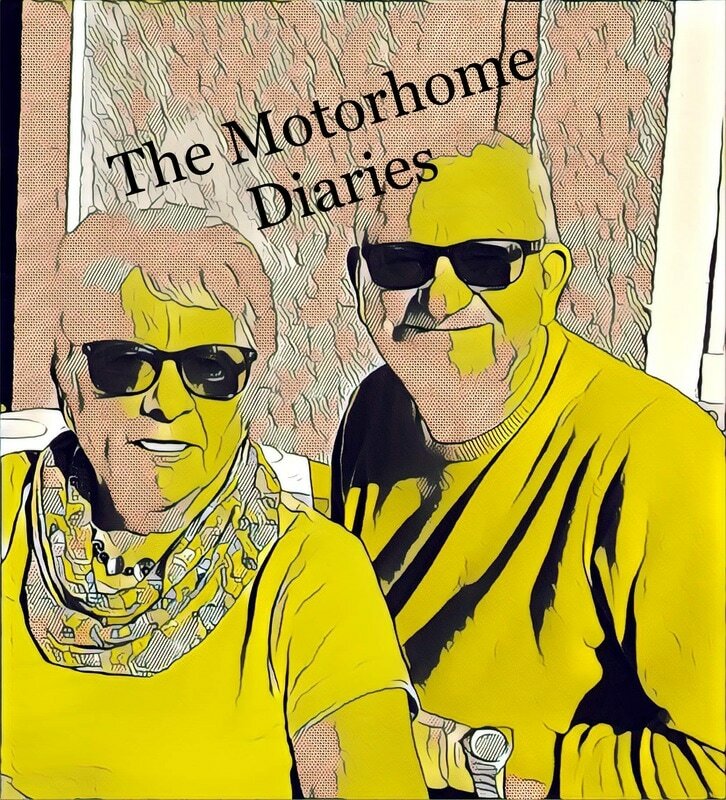 We paid 18 euro a night, not particularly cheap but I suspect that these better publicised sites can and do charge western european prices. What was nice about this site was that when you arrived and if you were the first of your nationality to be staying there put out a flag for your country we thought that was a really nice gesture. we've never had the flags put out for us before. 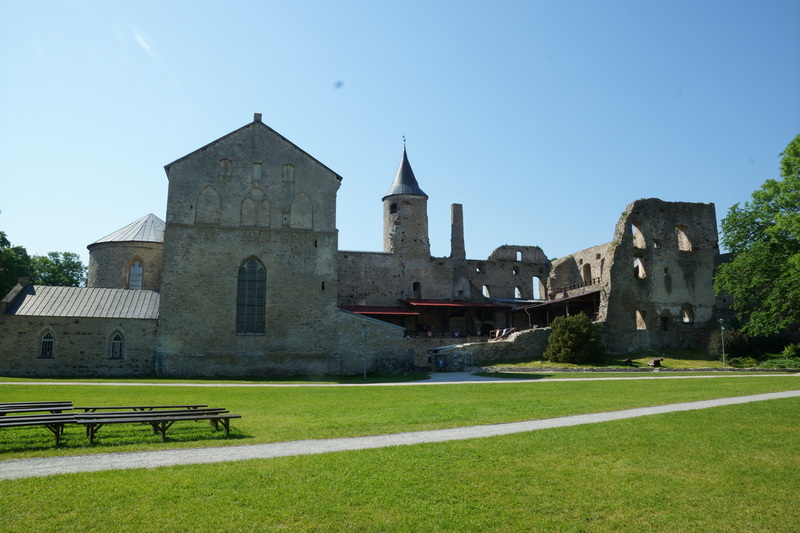 The main reason for any visit to Haapsalu is the Bishop's Castle which dates from 13th century. Part of it houses a museum now and there is a large area open for concerts too. The other place of interest is the station which has a very long platform - which was extended when Tsar Nicholas II came to visit. When we were there the station was in the process of being restored but already was a beautiful building, platforms you could take or leave. At the station were some old engines for railway buffs amongst you. 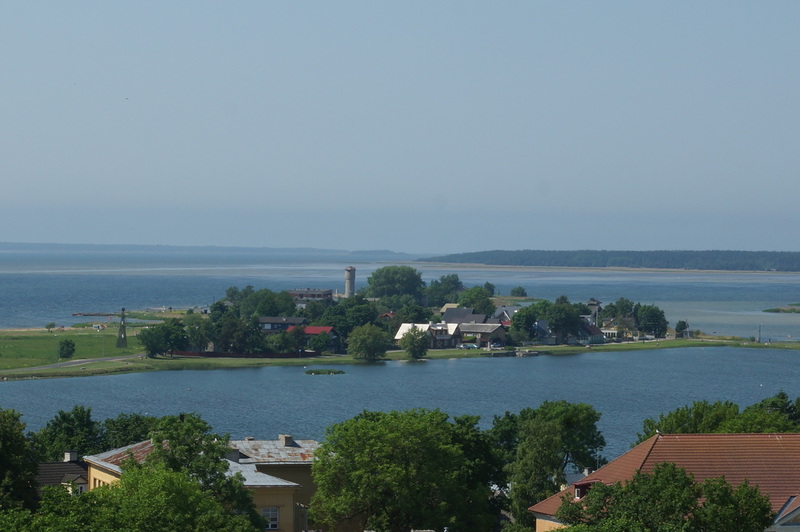 Haapsalu was once a very popular holiday resort and still has a number of beaches and very shallow water. 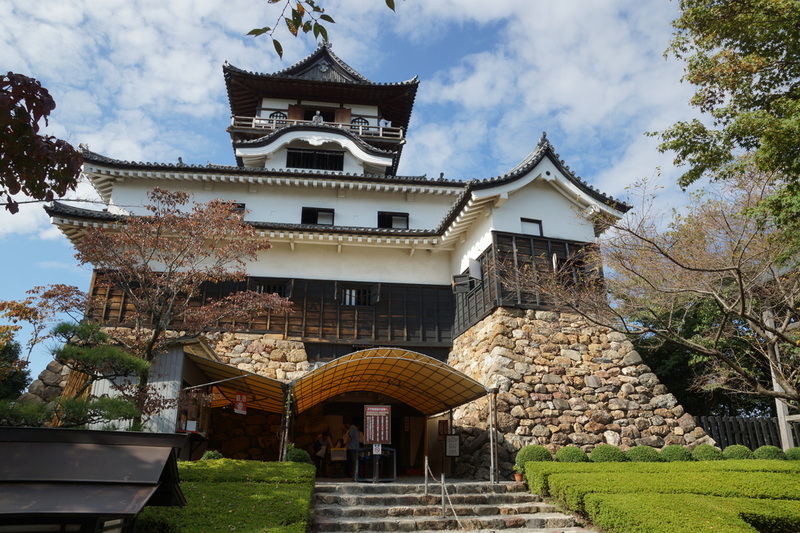 The town is small with pretty wooden houses and a couple of fancy spa hotels. It also has some lovely cycle paths along its coast, connecting the small town to the beaches. 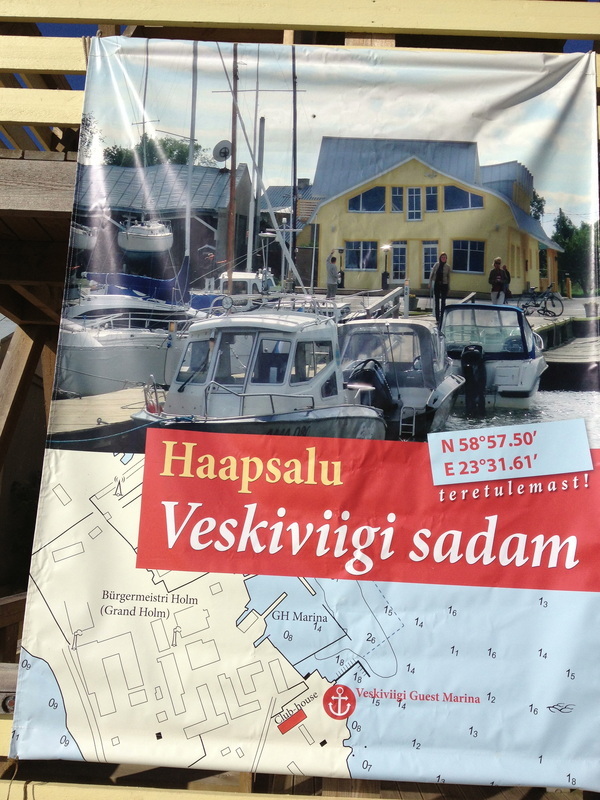 It was by cycling fairly aimlessly that we came across a small yacht harbour on the other side of Haapsalu where we could camp for 10 euro a night. 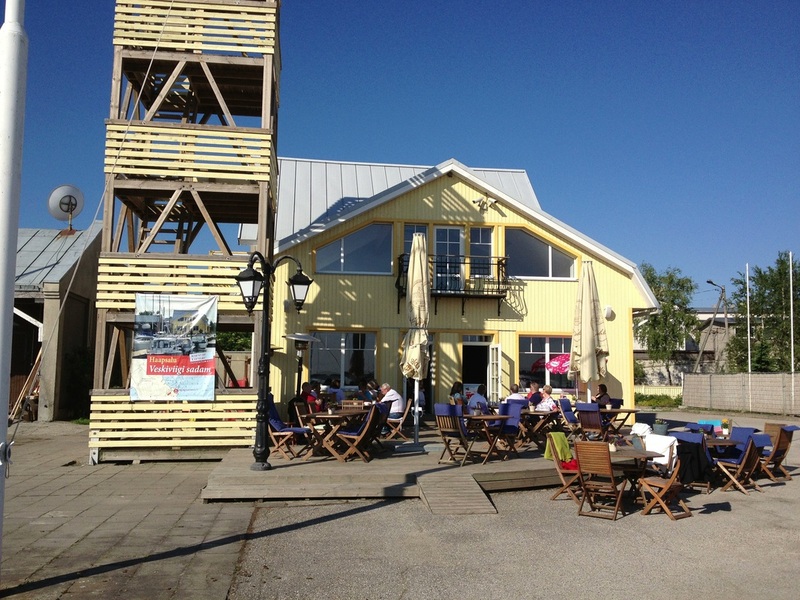 Views out to sea, a very nice bar restaurant next door and our own wooden summer house that housed toilet and shower and free wifi.It was such a lovely spot that we stayed in Haapsalu another night and stayed here which was lovely - even when the deaf Germans next door started playing their Roger Whittaker records loudly - he was singing in German it did not spoil it. Sheila with the rather lifelike plague doctor in the museum.